School Lunch Ideas With Braces How Do Rubber Bands Help My Orthodontic Treatment? Orthodontic treatment may be a unique experience for every patient, but there are certain steps everyone can take to make sure they get the most out of their orthodontic treatment. At All About Braces, we want to ensure that all our patients receive the highest quality care and also know how to maintain their treatment. Learn how to get the most out of your Invisalign treatment and smile brightly with your beautiful new smile! Standard oral hygiene practices still apply when you have Invisalign, but you may need to make a little bit more effort once orthodontic treatment begins. You should continue to brush your teeth twice daily at the minimum and after meals if you’ve consumed something especially sweet. You should already be flossing once a day, but this becomes even more important when wearing Invisalign. You will need to add an additional step to your oral hygiene routine by brushing and cleaning your clear aligners daily. This will ensure bacteria and food particles do not build up. For brushing and flossing questions, never hesitate to ask your local All About Braces orthodontist. Wearing your Invisalign clear aligners for a minimum of 22 hours per day is of the highest importance. Our orthodontist and staff cannot stress this enough. In order to get the most out of your Invisalign treatment, you should only remove your clear aligners to eat, drink, brush, floss, and the occasional sports activity. Protect Your Teeth & Mouth! 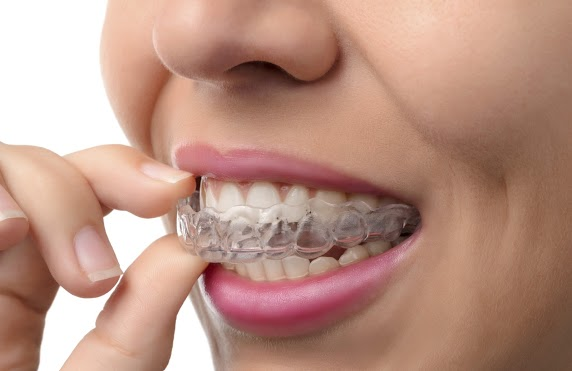 A few adjustments may need to be made to your everyday life to protect your Invisalign aligners, but an effective and speedy orthodontic treatment is well worth some temporary inconvenience. At All About Braces, we recommend that you wear a mouthguard during any athletic activity where you may be hit in the face. This can help prevent your teeth from being damaged by contact. Remember, you should remove your clear aligners while playing any contact sport and replace it with an orthodontic mouthguard. Keeping a regular appointment schedule is critical to your treatment process. Every time you miss or delay an orthodontic appointment, you run the risk of throwing off the treatment plan your orthodontist laid out. 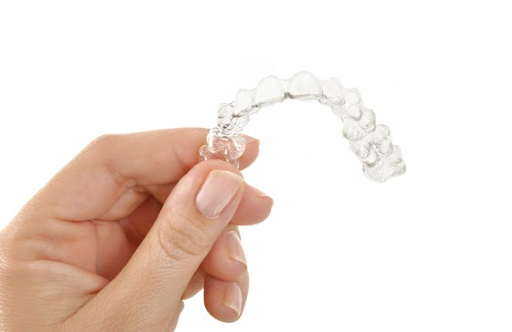 Reach out promptly if any issues with your Invisalign or teeth come up. We are always happy to help address your concerns and come up with solutions together. It is our priority to provide excellent, regular care with Invisalign at All About Braces! Call All About Braces For Invisalign Today! For all questions or concerns about your Invisalign orthodontic treatment, please talk to your local All About Braces team and orthodontists. We are more than happy to assist you. Our staff wants to ensure that you are getting the most out of your care every step of the way. To schedule your next appointment with our orthodontists, call our office directly. We look forward to seeing you and continuing to transform your smile!